As the Chairman of Erdemir’s Executive Board, Dr. Argüden brought new perspectives and vision to the largest Turkish steel company. He has brought an international perspective to the company’s vision and helped to enhance management quality by focusing on value creation rather than engineering; on growth by mergers and acquisitions rather than by greenfield investments; and inititated a reform on company culture to have customer-focus as the top priority rather than production-focus. The quality initiative he has started resulted in Erdemir winning the National Quality Award. 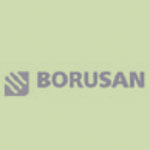 Taken together these initiatives brought the company to be among the most profitable companies in Turkey.